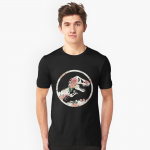 Owen Grady is a dinosaur researcher employed by Jurassic World, and one the main protagonists in Jurassic World and Jurassic World: Fallen Kingdom. In Jurassic World's sequel, the movie narrates the story of Owen Grady and Claire Dearing rescuing the remaining dinosaurs from Isla Nublar. Owen Grady, portrayed by Chris Pratt, is an ex-military and former dinosaur trainer who worked at the park. He is openly confident and headstrong with a strong sense of justice for all life forms. 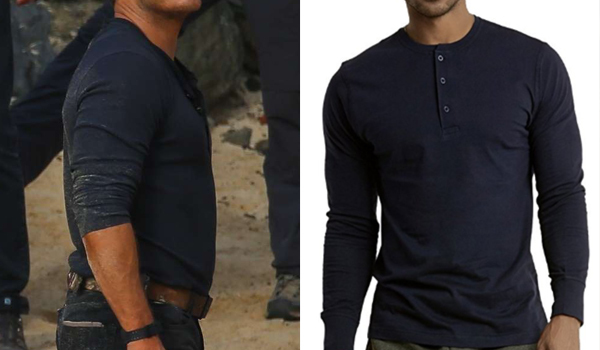 The shirt that Chris Pratt wears in Jurassic World 2 for his role as Owen Grady is a long sleeve navy blue henley shirt. This Blue Lemon 3 Button Henley shirt is a very close match. 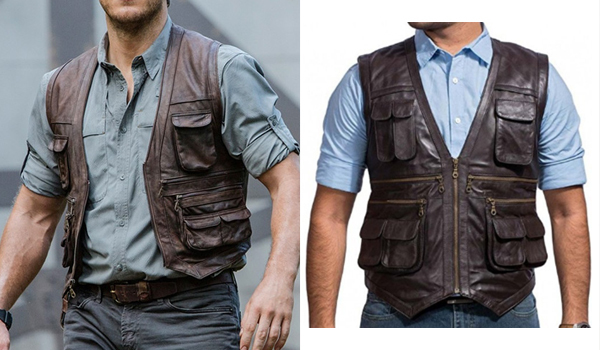 The vest that Chris Pratt wears in Jurassic World and Jurassic World 2 for his Owen Grady role is a brown leather vest. It is a custom Jonathan A Logan vest so it is not available for sale but a great replica is now available. 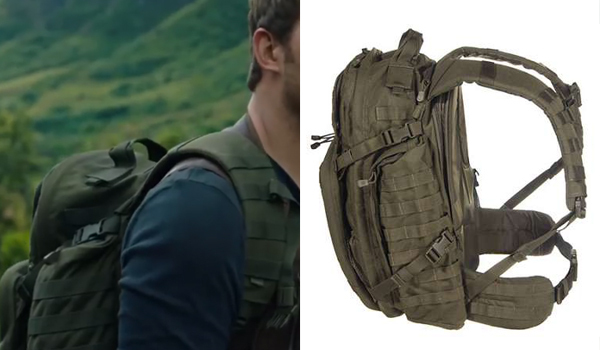 The backpack that Chris Pratt wears in Jurassic World 2 for his Owen Grady role is an OD Green Tactical Backpack. It is the 5.11 Rush72 OD green backpack. 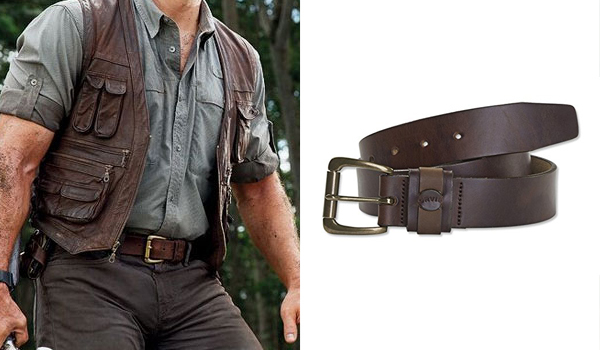 The belt that Chris Pratt wears in Jurassic World and Jurassic World 2 for his Owen Grady role is a brown leather belt with a gold buckle. It has been confirmed as the Orvis Heritage Belt. 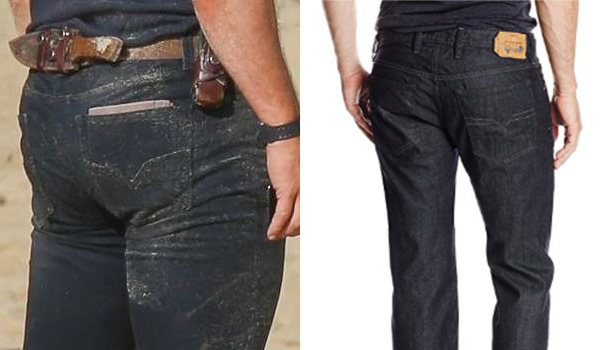 The pants that Chris Pratt wears in Jurassic World 2 for his role as Owen Grady are dark jeans with a V stitching on the back pockets. It is Diesel Waykee jean. 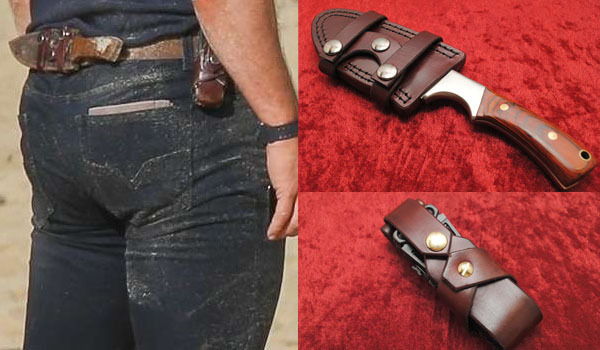 The knife that Chris Pratt uses in Jurassic World and Jurassic World 2 for his role as Owen Grady is the JW Hero Knife from Steve Auvenshine. It is attached to his belt by a Dragon Leatherworks Knife Sheath. His multitool is a Leatherman OHT Coyote and is also attached to his belt by a Dragon Leatherworks multitool pouch. 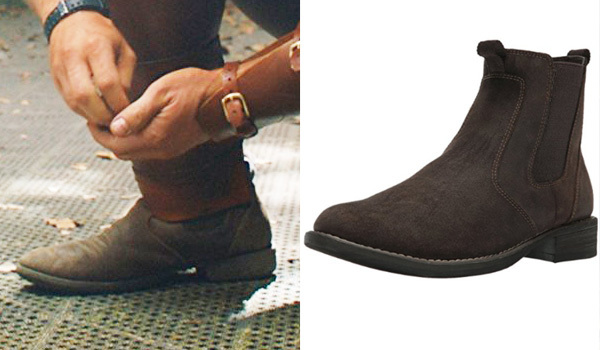 The shoes that Chris Pratt wears in Jurassic World 2 for his role as Owen Grady are brown suede boots. They are Eastland's Chocolate Chelsea Boots. 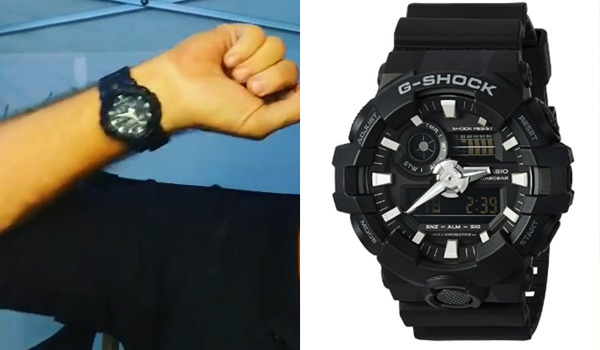 The watch that Chris Pratt wears in Jurassic World and Jurassic World 2 for his role as Owen Grady is a rugged black watch. In Jurassic World it was identified as the Casio GD 1001B. But in the latest Jurassic World: Fallen Kingdom, Chris Pratt is wearing the Casio GA 700.